The movie's star Rosamund Pike, Colvin's former colleague Christiane Amanpour and more give an inside look into Colvin's life and what it was like to make this powerful film. We just -- we were just sniped. There's a bullet. Gadhafi's forces are right in front of us. They're also sniping from the side. There's mortars coming in and going out. Extremely -- we're basically in the middle of the firefight. Reporter: In the middle of a firefight is where "Sunday times" reporter Marie Colvin all too often found herself. 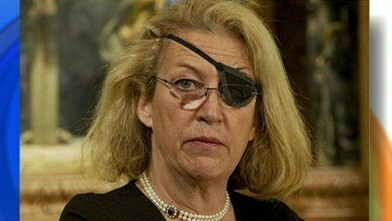 Marie Colvin was fearless, brilliant. Marie Colvin was a reporter's reporter. Reporter: From the deserts of Libya to the jungles of east Timor. Not a lot of food, so really rapidly deteriorating situation -- Reporter: To her final dispatches days before her death in Syria. Every civilian house on the street has been hit. Reporter: Her personal mission, to bear witness to the horrors of war. She always wrote about human beings. She always tried to humanize these conflicts. Reporter: Giving voice to the voiceless despite the undeniable risk. I often say Marie didn't die working, she died living. This is what she did. I'm not armed! Journalist! Reporter: Now her life and her work the subject of the new film "A private war." The film is both an homage to Marie, but an homage to journalism. An homage to people who are out there fighting for the truth, shedding light on dark corners of the world. Reporter: In his first narrative feature, director Matt Heineman felt a great responsibility in telling Marie's story. I really wanted to explore sort of what drives somebody to go to these places to explore the sort of ravages of war and attempt to put a face to it. Also explore the deep cost that Marie paid for doing that. The pain of war is really beyond telling. Reporter: In the year 2000, Colvin was given the courage in journalism award for her unrelenting pursuit of human truth. Whatever the rights or the wrongs of a conflict, I feel we fail if we don't face what war does, face the human horrors, rather than just record who won and who lost. Reporter: A year later, while covering the conflict in Sri Lanka, Colvin was blinded in one eye by shrapnel from a grenade. I think after that, her attitude to her own frailty, mortality, vulnerability in the field, changed. Reporter: Losing sight in one eye did not stop Colvin from seeking the truth and from compelling her readers to care. She was a 12-year-old Palestinian girl. Killed by a stray bullet that pierced her heart. I watched her parents hold her as she bled out. She was wearing pearl earrings. She probably thought she looked pretty that day. I see it. So you don't have to. Reporter: Actress rosamund pike says she fought for the chance to embody Colvin and to collaborate with Heineman, who received an Oscar nomination for his documentary "Cartel land." I doubt either of us deviated from the idea we were going to get as damn close to Marie as she was, as she talked and walked and smoked and lived and loved and fought for the stories, as we could. Reporter: The duo took a uniquely journalistic approach, from rip la dating Colvin's distinct voice and mannerisms -- I hate being in a war zone. I also feel compelled. Compelled to see it for myself. Reporter: To doing extensive research and interviews with people who knew her. I need a photographer. I need good. The best. Reporter: Trained by Jamie Dornan in the film, photo journalist Paul Conroy worked tirelessly to capture Colvin's words in pictures. Listen to me next time. Reporter: These stirring images from the Arab spring uprising in Libya. Colvin's drive to get the story and to get it first was well known. We were very fiercely committed to getting the story first and getting the scoop first. But in one of the most important scoops of the last decade, the two of us pooled our resources to get the last-ever interview with moammar Gadhafi. Reporter: Chris yawn Amanpour and Colvin's interview airing here on "Nightline." They say that you ordered air attacks against people, against civilians. I think Marie, my generation, we showed that having a female perspective was really important. But most importantly, when we came to the field, war was changing. It was becoming war against civilians. Reporter: It was this kind of war being waged in Syria that Colvin could not stay away from. In 2012, she and Conroy got themselves smuggled inside to report on the destruction firsthand. This shot from their last assignment for "The Sunday times," taken in a makeshift shelter in Homs while the city was under siege. That image gave life to this stirring scene in the movie. These were women who had lost all their husbands, their sons, anyone who didn't have anyone to look after them was in that basement. I want people to know your story. Reporter: Heineman recreated the widow's basement and cast Syrian refugees, all with real stories of loss to tell. I as Marie put my hand on her, and she looks at me, and she said, I don't want this just to be words on paper. I thought, my goodness, she's speaking to me as though I am a journalist. This is not a woman in a movie speaking to an actress. Reporter: It was their unwavering determination to shed light on one of the most brutal offensives in Homs that compelled Colvin and Conroy to remain in Syria. What are you doing? I've got to go back. There are 28,000 people there. She thought by getting there, by taking that story, by bringing it to the world that the world would intervene and stop that killing, the slaughter that was about to happen, that was happening, that we were in the middle of. Reporter: February of 2012, as two of the last western journalists inside, they witnessed the death of a little boy killed by shelling. Colvin speaking to CNN's Anderson cooper. We just watched this little boy, his little tummy heaving and heaving as he tried to breathe. It was horrific. My heart broke. Reporter: That decision to broadcast a great risk, bringing attention to the suffering, would also bring Assad's attention to them. We had this conversation that went along the lines of, Marie, it's Tuesday, we're not going to be alive to file a story by Friday. Reporter: The following day, Colvin was killed by an air strike. Conroy was severely wounded. For me that assignment never really ended. You know, I -- on the way out they were saying, get out, tell real sense of obligation and a duty of honor to Marie. Reporter: For the filmmakers, continuing to tell the story that ultimately killed Colvin could not be more important right now. It's not common that we see feature films about conflicts that are ongoing. Usually it's got a retrospective element. Was that tricky in some way? That is one of the tragedies of how the film ends. Not just how her life ends, but also that this tragedy of Syria persists to today. 500,000-plus people have been killed since she was killed. Her story's important. Reminding us through this film is important. And we journalists standing up for what's right, standing up for the truth, and standing up for being the eyes and ears of the people is really important to crystallize right now. Reporter: In fact, no one said it better than Colvin herself. "Our mission is to report these horrors of war with accuracy and without prejudice." "A private war" is in theaters now. 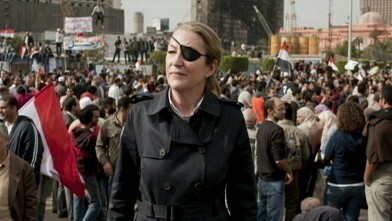 Christiane Amanpour on the accomplished work of Marie Colvin, Anthony Shadid. 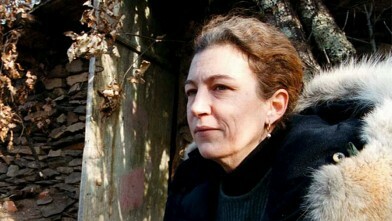 Marie Colvin and Remi Ochlik died in Homs during military shelling. Remembering journalists Marie Colvin and Remi Ochlik.